Dropping an egg from a ladder or roof without damaging it is a classic physics experiment in high school, and colleges often host more extreme competitions with complex rules. Designing a device for your egg drop is even more challenging if your project has restrictions, such as no parachutes. Even eliminating the parachute option leaves space for creative designs to protect your egg. Parachutes are used in egg drop competitions because they slow down the speed of the egg as it falls to reduce the likelihood of breakage. If parachutes exclusively are forbidden in the design, one option is to consider other methods of slowing down the egg during the drop. 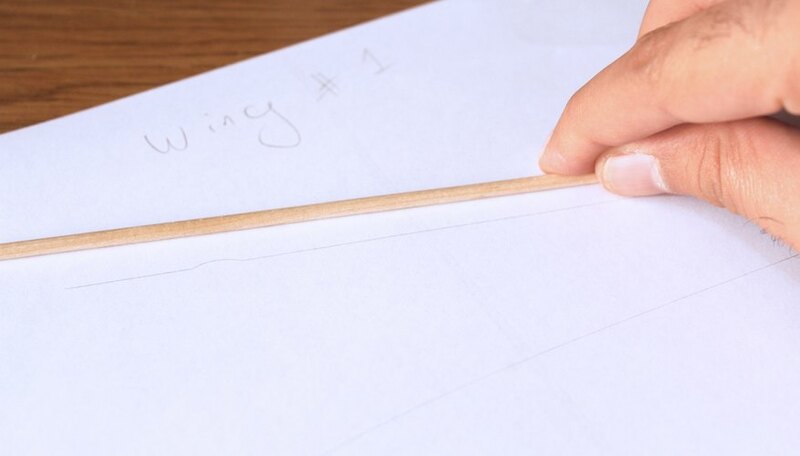 One way is to create a simple basket or box for the egg and attach it to a set of glider wings made from fabric or lightweight paper stretched over a frame of Popsicle sticks or wire. Helium balloons are another option: secure the egg box to enough helium-filled balloons so that the egg gradually descends rather than falls to the ground. Before you choose a design that replicates the function of a parachute, make sure it will be accepted by your teacher or the competition judges. Cushion designs are one of the simplest ways to protect an egg from breaking when it's dropped. Cushion designs surround the egg with a soft material so that the egg lands softly and safely once it's dropped. Large bubble wrap is an inexpensive option for cushioning your egg: either wrap the egg directly in bubble wrap and secure it with tape or create a large box for your egg and surround it with at least 3 inches of bubble wrap on all sides. Foam cushions or egg carton foam perform a similar function and can be used in the same way as bubble wrap. Suspension designs are slightly more complex than simple cushion designs. In a suspension design, the egg is suspended in a container so that when it lands, it moves up and down or sideways safely without ever striking the ground or the side of the container. A pair of nylon stockings is an inexpensive option for suspending your egg. Slide the egg into a short portion of the stocking and keep it in place with rubber bands wrapped around each side. When the nylons are pulled tightly across the inside of a box or container, the egg will be safely suspended as the box falls. Absorption designs are constructed so that the egg container absorbs the majority of the impact so that the egg is safe and typically combine elements of both cushion and suspension designs. One option for an absorption design is to construct a container from drinking straws. Straws are lightweight and flexible to absorb the force of the drop, but they have high axial strength to support the egg and hold their shape. 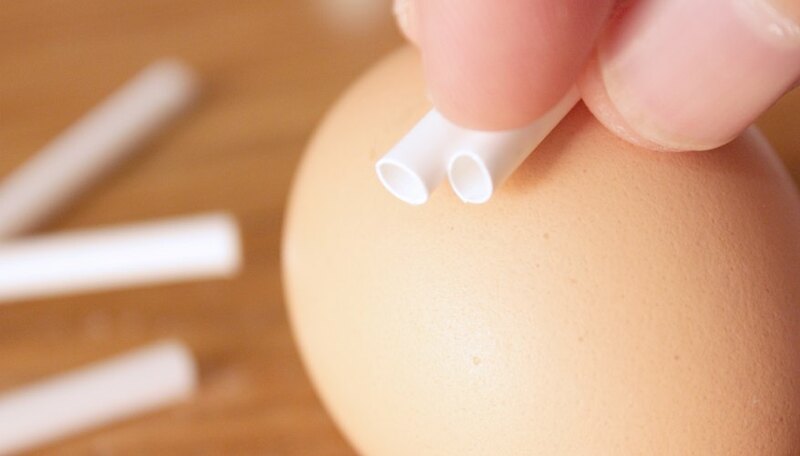 Wrapping the egg in straws creates an initial cushion. The rest of the container can either be additional layers of straws wrapped around the first layer or a more complex geometrical cage around the egg that will allow the container to bounce when it lands. Wahlig, Hannah. "Egg Drop Experiment Solutions Without a Parachute." Sciencing, https://sciencing.com/egg-drop-experiment-solutions-parachute-8253093.html. 29 April 2018.